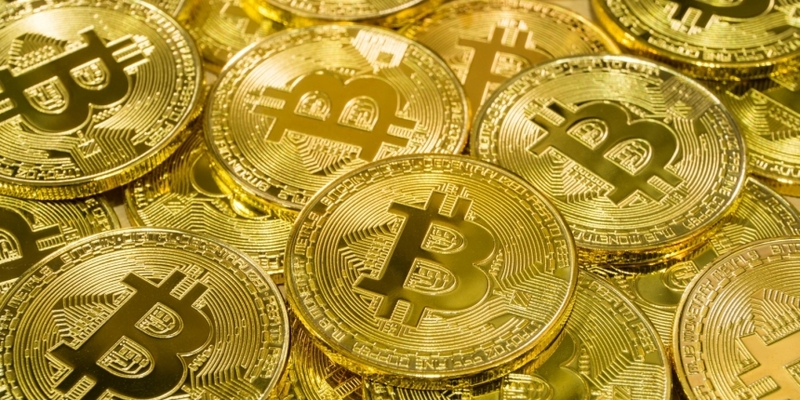 Bitcoin (BTC) is again trading in a narrowing price range above $6,400, but the lateral trading may soon give way to a rally, according to technical studies. The price consolidation comes after Monday’s big spike to three-week highs above $6,800, which weakened the bearish case put forward by last Thursday’s violation of key support. So far, however, a bullish follow-through has not materialized, possibly because buyers are waiting for a more credible evidence of bearish invalidation. Also standing in the way of a potential rally are a number of major key resistance levels, as discussed yesterday. Should BTC clear these key obstacles, then traders may feel convinced that the cryptocurrency has bottomed out again at the 21-month EMA support and could push prices higher toward long-term falling trendline resistance above $7,000. The above scenario could play out if the three-day long narrowing price range (triangle pattern) is breached on the higher side. Interestingly, the moving averages on the short duration charts are aligned for a potential break above the triangle resistance. At press time, BTC is trading largely unchanged on the day at $6,440 on Coinbase. The 50-, 100- and 200-hour exponential moving averages (EMAs) are trending north, indicating a bullish setup. Further, the stacking order of the 50-hour EMA above the 100-hour EMA, above the 200-hour EMA is a classic bullish signal. As a result, BTC is more likely to cut through the upper edge of the triangle, currently at $6,460. Another sign of a possible building directional change comes from the choppiness index, which has dipped below the 38.2 percent level. So, it seems safe to say that triangle breakout, if confirmed, could yield a sharp move higher, possibly toward $6,800. Over on the daily chart, BTC has cleared the trendline falling from July highs and the 5-day and 10-day EMAs are beginning to rise in favor of the bulls. Thus, prospects of a triangle breakout are high. A triangle breakout looks likely and if confirmed, would signal a continuation of the rally from the Oct. 15 low of $6,151 and open the doors to $6,800. A downside break of the triangle would shift risk in favor of a re-test of the 21-month EMA of $6,123.